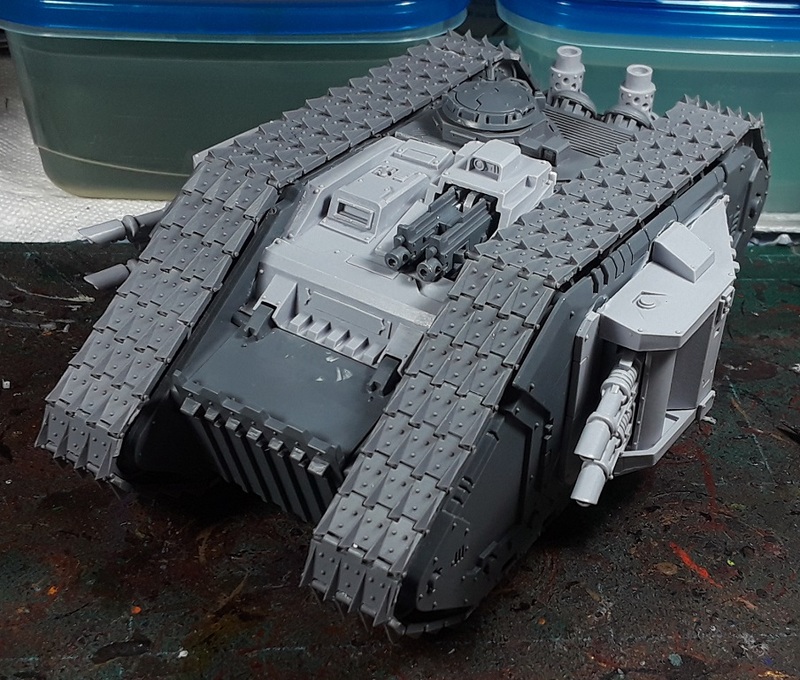 Mordian 7th Regiment: Heresy Era Sons of Horus - First of three Land Raiders built! 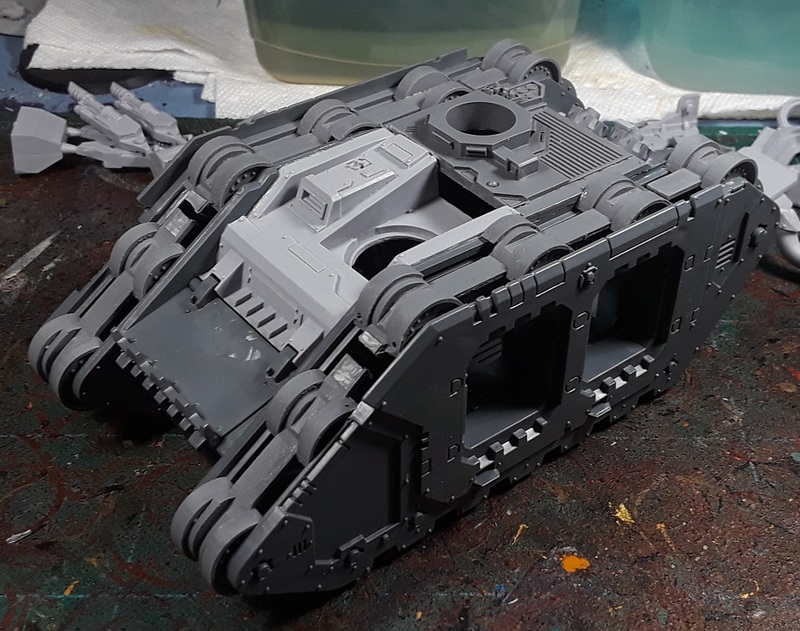 Heresy Era Sons of Horus - First of three Land Raiders built! 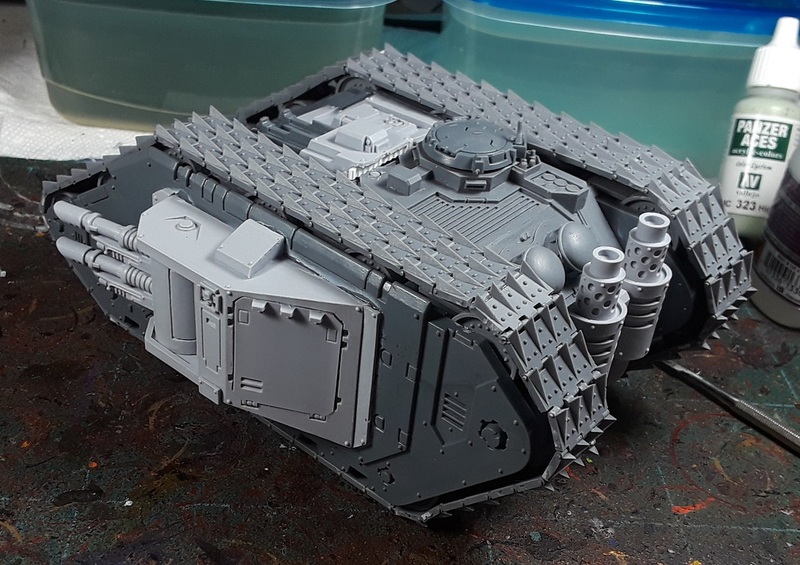 For this Sons of Horus force I wanted to go with the "Armoured Spearhead" Rite of War, which allows any unit that can take a Rhino to instead take a Land Raider, and this was prompted by the recent release of the Sagittarius track upgrade kit from Blood and Skulls Industry. 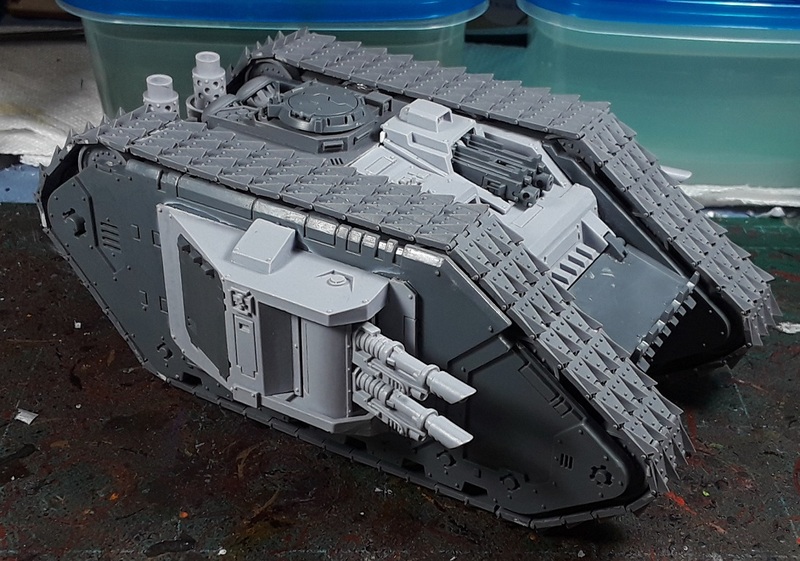 The wrap-around tracks really add to the heresy vibe, and I figured I'd couple them with the Forge World Mk.IIb kit for extra heresy goodness. 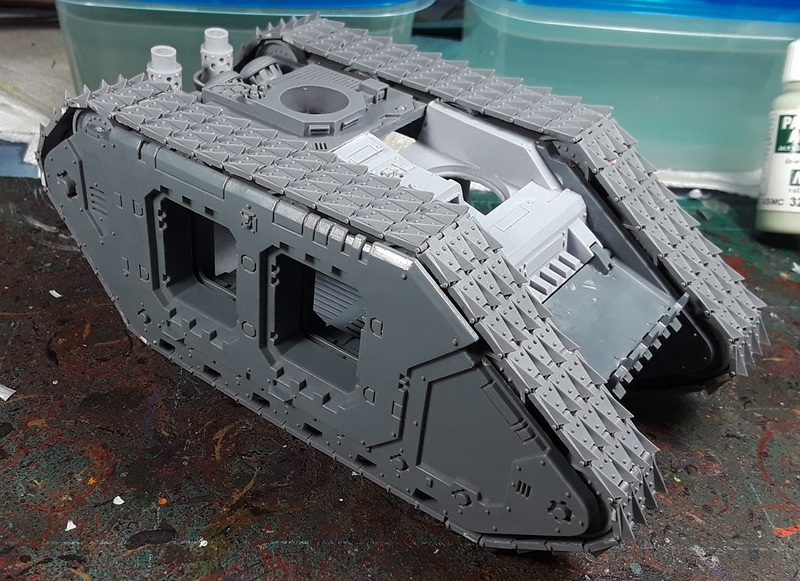 The kit comes with a set of insert rollers that the treads fit onto, and they key into the interior of the land raider sides beautifully. As the plastic upper hull won't fit anymore the kit also includes a replacement rear hull that also slots in nicely. The instructions suggest leaving the side hull sections unglued until the insert rollers are added, as they need just a little bit of wiggle room to slot in and gluing up the side hulls beforehand may cause a spot of trouble. The act of gluing the roller sections to the side hulls means the end result is very solid, even though I didn't add glue to the interior posts. Once the rollers were added to the side hulls and the center hull was glued up, it was time to wrap the tracks around. Started off by doing the top front corner track sections as per the instructions, which I was pleased to see keyed in place nicely. 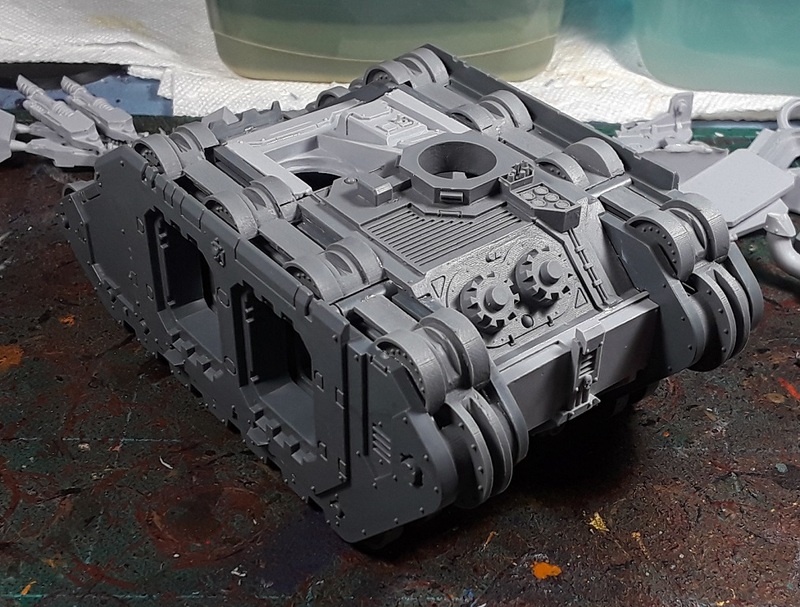 Next up, two single piece sections and the next straight section around the front of the tank. Tried my best to ensure both sides matched up in their angle, and it was a piece of cake. 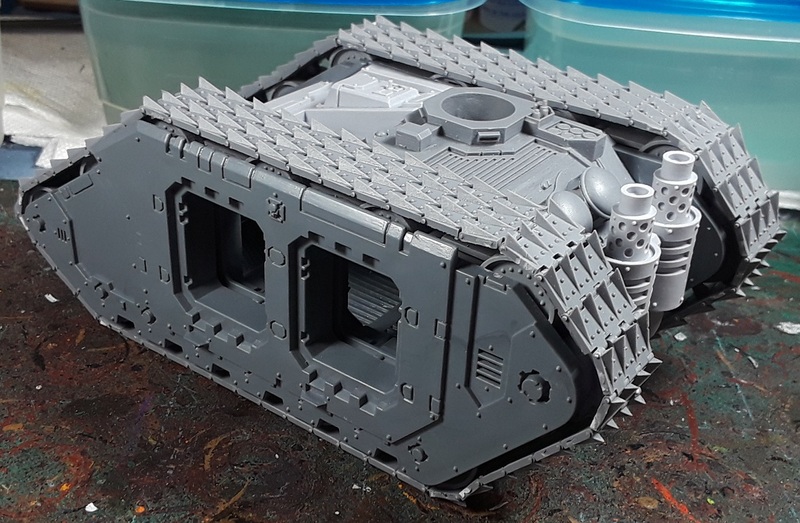 At this point I was feeling confident that the tracks were going to be bang on target (as all of the Blood and Skulls kits are), I proceeded to continue the wrap along the bottom, then wrapped around the back. No tread trimming required, fit around the rollers beautifully. 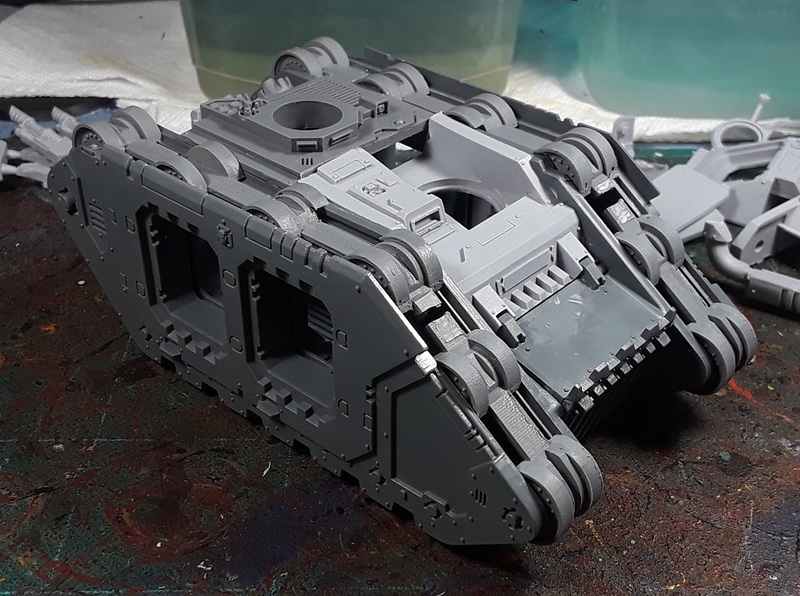 The Mk.IIb add-ons work pretty darn well - The kit is designed for use with the standard plastic Land Raider main hull pieces, but fit the FW kit very closely. 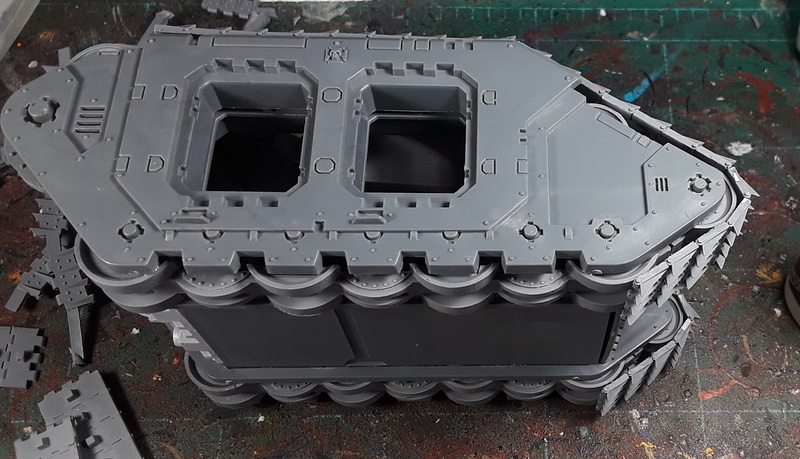 The only egregious gap from the Mk.IIb kit is on the rear heavy bolter housing - a little strip of plasticard covers it up easily and will likely be unnoticeable once primered. The perfect ride for a Justaerin or Veteran squad! Got some SoH brass etch inbound with the next box o' joy to give it a bit more flavor. I have two more of the non-spikey "liberator' pattern kits on deck, but figured I ought to solo-build one kit first to iron out the kinks - would hate to find I'd screwed up the build and have done so on all three kits at once! Nice! It's not quite a style I'd want to go for myself but it's very SoH appropriate! 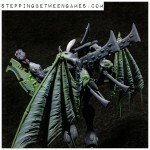 Looking forward to seeing it painted up to match your Contemptors! 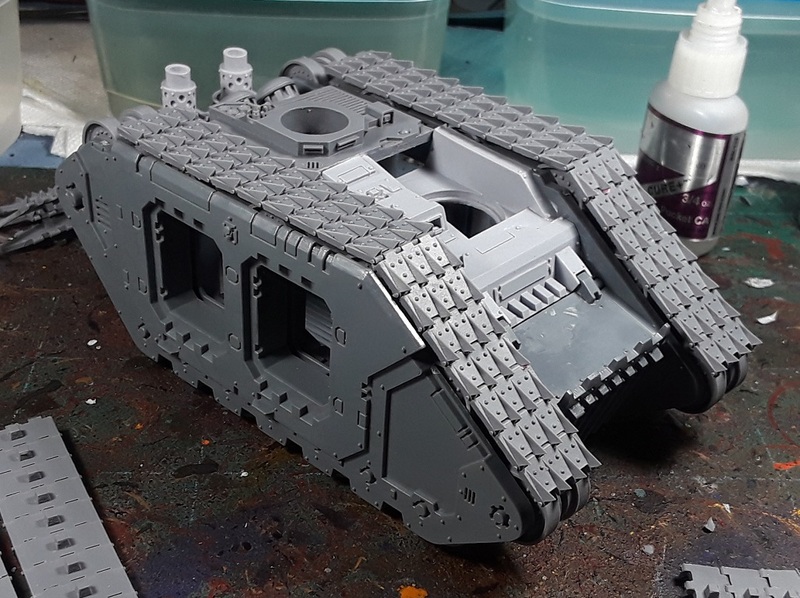 I am soo envious of properly fitting tracks after my Spartan! But lovely kit. @Nick Thrower: Cheers! There's two more coming with more 'vanilla' tracks that I think are likely to look a little cooler. @NafNaf: Thanks very much! I think it'll fit in nicely! @Francesc: Aye, it'll likely carry a veterans squad, or the lightning claw terminators rather than Justaerin. Those tracks are awesome. I was just always too cheap to buy any.